I suppose I could write a book about all the ways in which I'm different from the great Jack Nicklaus. The obvious biggest difference is LOFT (Lack of Fricken Talent), but there are many others. I was just a kid, living in England, when Jack won the Open at St Andrews in 1970. 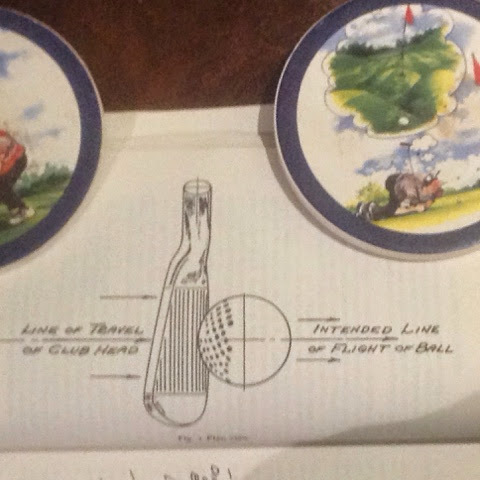 I still remember that Sunday, when he drove the ball over the eighteenth green, some three hundred and sixty yards, up a bank and into some thick grass. 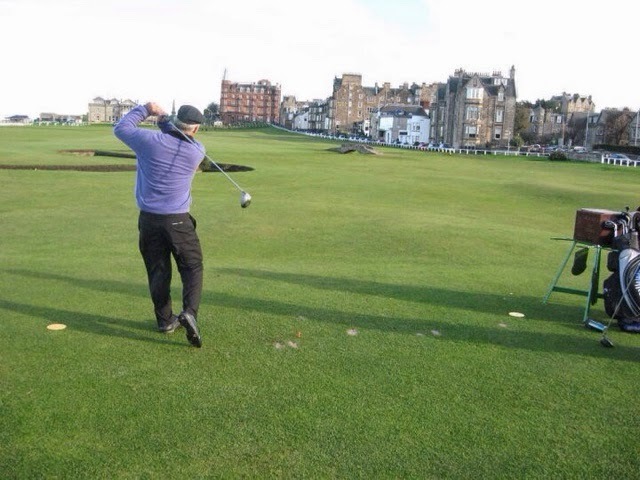 The first time I played the Old Course, which was just five years ago, I thought about Jack as I stood on the eighteenth and swung for all I was worth. Instead of driving the green, I was about forty yards short and had to traverse the Valley of Sin. I stood over that shot and thought I would run the ball through the Valley of Sin using a hybrid. It was a great plan, but I never practise chipping with a hybrid. That was something Jack would never do. He would never try a shot he hadn't practised. He only hit shots he knew from experience he could hit. But I tried it anyway and, after hitting it way too hard, the ball ran through the green and up the bank into an eerily similar spot to where Jack had hit his drive in 1970. It just so happened I had a small audience at the time, and I announced that this was the shot Jack pulled off in 1970. I said I would see if I could get it up and down. That was another difference between Jack and I. I had a small audience and was playing for fun. Jack had the world watching and he was needing to get it up and down to give himself the chance to win the Open. I took my sand wedge and chipped the ball three feet from the hole, just like Jack did. I was feeling pretty good and tipped my cap to the father and son who were watching nearby and had appreciated my effort. The pin was in approximately the same spot it was in when Jack made his famous chip. I calmly approached the ball, made a beautiful stroke, and missed it. Jack, of course, made his. Oh well, there's only one Jack Nicklaus. I'll just have to settle for being me. Labels: The Old Course. Jack Nicklaus. The Open. Golf.